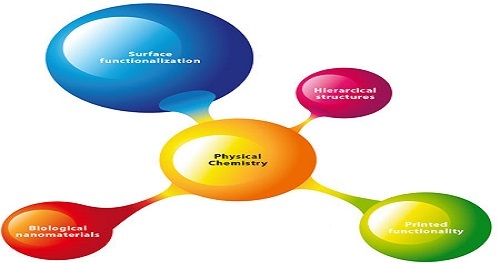 Physical Chemistry: the study of macroscopic, atomic, subatomic, and particulate phenomena in chemical systems in terms of the principles, practices and concepts of physics such as motion, energy, force, time, thermodynamics, quantum chemistry, statistical mechanics, analytical dynamics and chemical equilibrium. Physical chemistry is the study of how matter behaves on a molecular and atomic level and how chemical reactions occur. Based on their analyses, physical chemists may develop new theories, such as how complex structures are formed.